Marching Band & Guard takes home uniforms and instruments for the parade on Saturday. Please drop off your student at the parade staging area at the corner of Honolulu and La Crescenta Ave. at 5:30pm. Please leave instrument cases in the car as we will not be returning to the staging area at the end of the parade. Students will be dismissed at the end of the parade at the corner of Honolulu and Verdugo Blvd. All instruments and uniforms should be returned to the band room on Monday, December 3rd. Students are encouraged to wear holiday hats instead of their shakos. Instrument decorating (lights, tinsel, holly, etc.) is fine as long as the instrument can still be played properly. Here comes the Polar Express bound for LCHS! We are on the fast track to the Winter Spectacular on Thursday, December 6th at 7pm. The high school Orchestra, Band, and Jazz Band will perform holiday classics and favorites! It’s a wonderful evening of music, goodies, and fun. Please volunteer for bringing food for the reception after the concert! Winter Retreat payments are now due. This is for each orchestra member. The cost is $225 for a super fun camping/musical weekend in the Angeles National Forest. We will be going up Friday after school on January 25th and coming home Sunday afternoon, January 27th. If you are unsure if you have paid the fee already, please contact Jason Northrop, the MPA Receivables Treasurer and he can tell you if you still need to pay. Also, please let Yvonne Lim know if you are interested in chaperoning for the Retreat. Thanks! Have a fantastic week! Congratulations to the Marching Spartans for an amazing season! Although we were cancelled on at the end, the show was an amazing success and will be a favorite for years to come. Thank you all for those who helped in any capacity to make this season amazing! Moving into December means the Montrose Christmas Parade, Winter Spectacular, 7/8 Winter Concert with ALF, and a light at the end of the tunnel on December 21st. Come see all our talented groups perform this month and allow them to get you in the holiday mood! Music makes every day better and we have a ton of music to last the entire month. See you at the concerts! 9-12 Band Concert Wear has arrived and will be distributed on Friday, November 30th during 1st period. Please look for individual emails regarding costs for all students ordering concert wear. 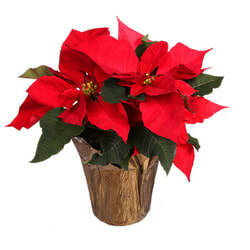 We’re in our last week of Poinsettia Sales, and and volunteers are needed. Please click on the link and sign-up to help promote sales at the elementary sites before school on Wednesday! Our Poinsettia Sales have been extended to November 30th! This is another great fundraiser to benefit your student’s account. $4 from each plant sold goes straight to your student’s account. Plants are $12 each. Orders are due on November 30th! Orders can be placed online or by completing and turning in the paper form. If you have questions, please contact Tiara Nappi. We’re still looking for a Silent Auction Chair to head up the task of gathering donations and organizing the auction. 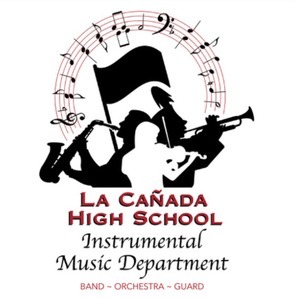 And while we’re thinking Silent Auction… If you have anything that you would like to donate to benefit the Instrumental Music Program, please let Sheryl Madonna (our Dinner Show chair) know. Use your imagination! Any donation is appreciated. In years past we have had donations of Disney/California Adventure passes, Lakers tickets, Dodgers tickets, Gift cards to restaurants, Music lessons, tickets to Jimmy Kimmel, a weekend at Mammoth, and more! Please contact Dinner Show Chair Sheryl Madonna with any questions. Thanksgiving. Turkey. Cranberry Sauce. Pumpkin Pie. My son says that Thanksgiving is his favorite holiday because it’s all about eating! That isn’t exactly true – this time of year gets me to thinking about what I’m thankful for. Good health, family, and friends are high up on the list, but the LCHS Orchestra is right up there, too, on my thankful list. I look forward to class every day and getting to interact with your children. They are my teachers! I hope that everyone has a beautiful week of vacation, family, friends, and food.